Upper Madison College is a Languages Canada accredited language institution and a government inspected and approved high school. We are a PREMIUM educational institution with world-class programs accepted by the best universities and colleges around the world, the top-tier teachers who are certified experts, and technologically advanced facilities in one of the safest areas in Toronto. UMC is dedicated to providing quality language instruction and CERTIFIED to have attained top quality education. With three campuses in Canada, two in TORONTO and one in MONTREAL, diverse experiences from urban downtown to cultural centers can be expected. Our teachers and students work together to build a dynamic and COMPASSIONATE environment through SMALL-SIZED classes maximizing the learning experience. 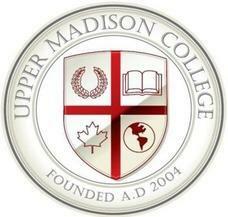 At Upper Madison College, we look forward to sharing a VALUABLE all-encompassing educational experience with you. At UMC, each of our classes has specific expectations and outcomes creating skills focused classes allowing for maximization of our 4 weeks terms. Different classes are allocated to different skills taking into account both accuracy and fluency with the ultimate goal of language production. General English programs are for all students, from beginner to high advanced levels, and this is the best way to start studying in Canada. Students are exposed to a Canadian classroom experience with emphasis on tasks and activities leading to a fun learning environment. The UMC IELTS program is specifically designed to ensure students who successfully complete it receive a minimum of 6.5 on the test. This is accomplished through instruction based on skills and strategies; and intensive drilling. The classes focus on the four sections of the test: reading, writing, listening and speaking. The combination of strategy and skill training and intensive practice pushes students to develop the necessary skills to master the IELTS test in a condensed amount of time. The EAP (English for Academic Purposes) Program is designed to give students critical academic skills necessary to be successful in a western college or university. The program consists of two classes: Advanced College Preparation and World Issues. These two classes combine the teaching of skills such as note-taking and critical writing and the application of the skills in a mock college classroom setting. Successful completion of UMC's EAP program gives students admission to top colleges and universities. The Business English Program at UMC takes an experiential learning approach. Students not only learn how to speak and write professionally but they are given opportunities to practice in real life situations through projects and presentations. Students experience the Canadian business world through tours of top companies, interactions with business people and seminars. After completing 4 periods, students are eligible to receive a Business English diploma. ILSAP - Interpreter Language Skill Assessment Preparation. The Cultural Interpreter and Language Interpreting Skills Assessment Tool (CILISAT) and the Interpreter Language and Skills Assessment Toll (ILISAT) are tests that assess the candidate's ability in consecutive interpretation and sight translation. A certificate by the Ontario Ministry of Citizenship and Immigration is given to successful candidates. Upper Madison College is an official test center for these two tests. As one of the largest language institutions in this region of the city, we at Upper Madison College guarantee a SUMMER CAMP designed to effectively and dramatically improve the English level of all students. Our specially tailored program that is tested and proven over a decade of operation and a balanced combination of in-class instruction and out-of-class experiential activities lead to expedited language acquisition. Our staff and instructors, as our school motto - Commitment, Connection, Compassion - assure to take care of each and every student individually with compassion to make the UMC Summer Camp an experience of a lifetime. My experience at UMC was great! The staff there were very nice and willing to help whenever I needed their help. The teachers there were patient; if you had questions, they were more than happy to explain it to you. UMC is located right next to the subway station which made the commute easier. UMC also had an English only policy which encourages us to speak English as much as we can on campus. I think this really helped me with my speaking skills. 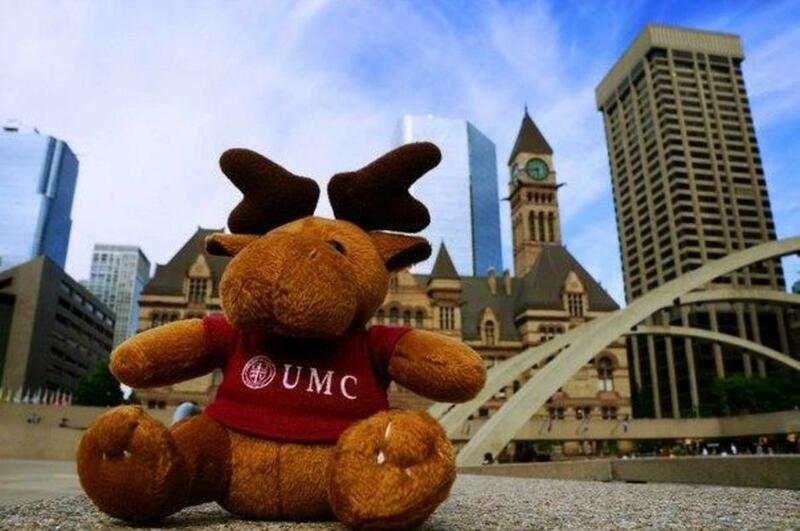 UMC is located in the centre of north Toronto - there's a big supermarket next to the school which was really convenient. First, the teachers and staff here were very good. They were always friendly towards students. From the very beginning, they did everything so students would feel home at UMC. Second, I liked all my classmates! All of them came from different parts of the world, and by talking with them I learned more about different cultures and countries. Thank you UMC for the best experience in my life. I've met so many people from different countries around the world. I really liked they way school works, I liked teachers and staff there, all of them were so helpful. I will recommend UMC to all my friends.